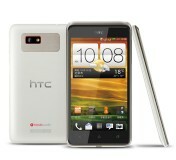 HTC unveiled three exclusive droids for China Mobile - the One SC, One SU and the dual-SIM One ST. They all run on Android 4.0 Ice Cream Sandwich skinned with HTC Sense 4.0 UI. Let’s start with the one we already met yesterday – the One ST. As it turned out, the previous leak turned out perfectly accurate. The One ST packs a 4.3-inch SuperLCD2 WVGA display and is powered by a 1GHz dual-core processor. The specs sheet continues with 1GB RAM, 4GB storage, 5MP camera (BSI sensor, F2.0, LED flash) with 720p video recording, Beats Audio and a microSD slot. The One ST is a dual-SIM phone with support for dual-standby. It also supports 3G with HSPA+ networks but only on the primary SIM card. 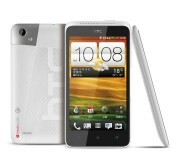 HTC One ST will be available in three colors – white, red and black. No word on the pricing and the availability yet. HTC One SC and One SU share identical specifications but different designs. They both have 4.3-inch WVGA displays, 1GHz dual-core processors, 1GB RAM, 4GB storage, 5MP camera (BSI sensor, F2.0, LED flash) with 720p video recording, HSPA+ connectivity, Wi-Fi, GPS, Beats Audio and a microSD slot. Yes, these specs are also identical to the One ST, sans the dual-SIM functionality. 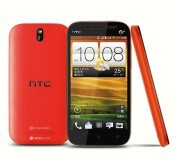 The One SC has a rather extravagant design, while the One SU is a standard HTC affair. The pricing and the availability of the One SU and SC is also TBA. waiting for HTC one SU in India. Whe it is getting launched in India.